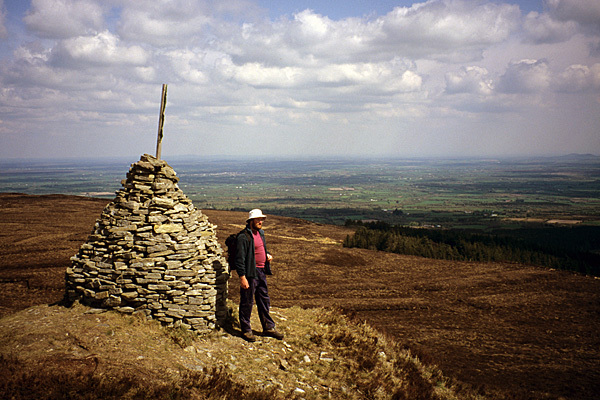 Paddy Dillon stands beside an old cairn on the Ridge of Capard in the Slieve Bloom. 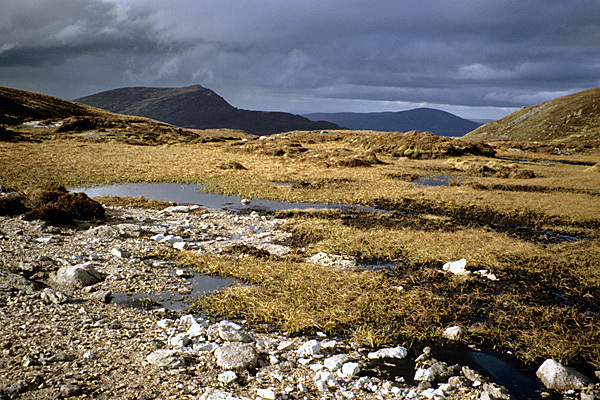 Bleak and boggy terrain in the heart of the Comeragh Mountains. 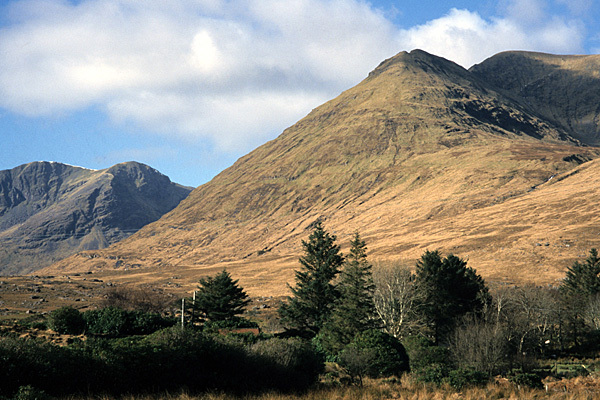 Mweelrea towers over a remote and sparsely populated part of the West of Ireland. The initial idea for this guidebook came from Tom Lawton, who was working on an 'Exploring' series of guidebooks with Ward Lock. Initial discussions swung from the idea of publishing a single guidebook for the whole of Ireland to a series of four guidebooks covering the four historic Provinces of Ireland. Unfortunately, while the first book in the series was being researched, a decision was taken at Ward Lock to publish only a single volume covering the rest of Ireland. The southern volume nevertheless takes in 36 rich and varied routes around a large part of Ireland. The route research took a month of walking to complete. This guidebook provided an opportunity to showcase a variety of popular walks from around the country, while also presenting some less well-known routes and areas to readers. In effect, the routes are located roughly around the edges of Ireland, taking in several mountain ranges and occasional stretches of coast. A couple of walks are further inland, heading towards the centre of Ireland.